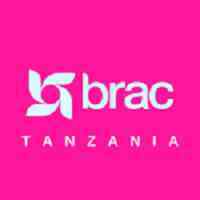 BRAC is a development success story, born in Bangladesh and expanding into 10 other developing countries in Asia and Africa. It spreads anti-poverty solutions making it a global leader in providing opportunities for the world’s poor. Was founded in Bangladesh in 1972 by Sir Fazle Hasan Abed, and is today one of the top leaders in developing cost-effective, evidence-based poverty innovations in extremely poor, fragile and post-disaster settings. BRAC started its first programme outside of Bangladesh in Afghanistan in 2002 through its Dutch registered Stichting BRAC International. BRAC International is currently reaching over 19 million people beyond Bangladesh and creating opportunities to break the cycle of poverty. With a holistic approach that uses a wide array of interventions including microfinance, education, healthcare, legal services and more, BRAC invests in communities’ own human and material resources, catalyzing lasting change and creating an ecosystem in which the poor have the chance to seize control of their own lives. Of the world’s top development and humanitarian relief organisations, BRAC is one of the few based in the global south. In January 2018, BRAC was ranked as the number one NGO in the world for the fourth consecutive year by the Geneva-based NGO Advisor, an independent media organization committed to highlighting innovation, impact and governance in the non-profit sector. BRAC International operates in the countries with the highest child marriage and teenage pregnancy rates. Goal of Youth Empowerment Programme is to empower girls by unlocking their potential through education, life-skills, and livelihood opportunities that enables them to fight unwanted social pressures and build healthier futures for themselves. Curriculum Specialist, Youth Empowerment will update and refine curriculum and training of delivery by facilitators for BRAC’s Empowerment and Livelihood for Adolescents (ELA) program in sub-Saharan Africa to increase youth engagement in the program. The job holder will report to Head of Youth Empowerment and will closely collaborate with Regional Advisor, Youth Empowerment. ● Travel required for assessments, delivery of trainings, evaluation and observations of content. Bachelor’s in education, Social Science or relevant discipline. • Practical and extensive experience in developing life skills training material, apprenticeship and entrepreneurship. Please mention the name of the position and AD# BI 12/19 in the subject bar. Only complete applications will be accepted and short listed candidates will be contacted. BRAC is committed to safeguarding children, young people and adults, and expects all employees and volunteers to share the same commitment. We believe every stakeholder and every member of the communities we work with has the right to be protected from all forms of harm, abuse, neglect, harassment, and exploitation – regardless of age, race, religion, and gender, status as an individual with a disability or ethnic origin. Therefore, our recruitment policy and procedure include extensive background checks and disclosure of criminal records in order to ensure safeguarding to the fullest extent. BRAC is an equal opportunities employer.